Tjarda was the inventive force behind the innovative and charismatic dance company The Uzumé (2005 – 2014), they have toured the world since the early the beginning. From 2006 till 2011 Renate (Maya Acid) joined the team to complete the on-stage chemistry for several years and from 2013 – 2014 Tjarda found her new partner in the talented Caterina Grimani from Italy to continue the captivating spirit of The Uzumé Dance Company. 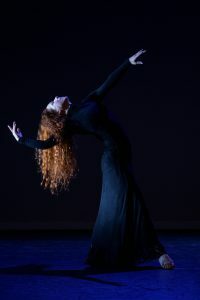 Tjarda now continues her group work with her other dance company The Amano Project, which she founded in 2010.